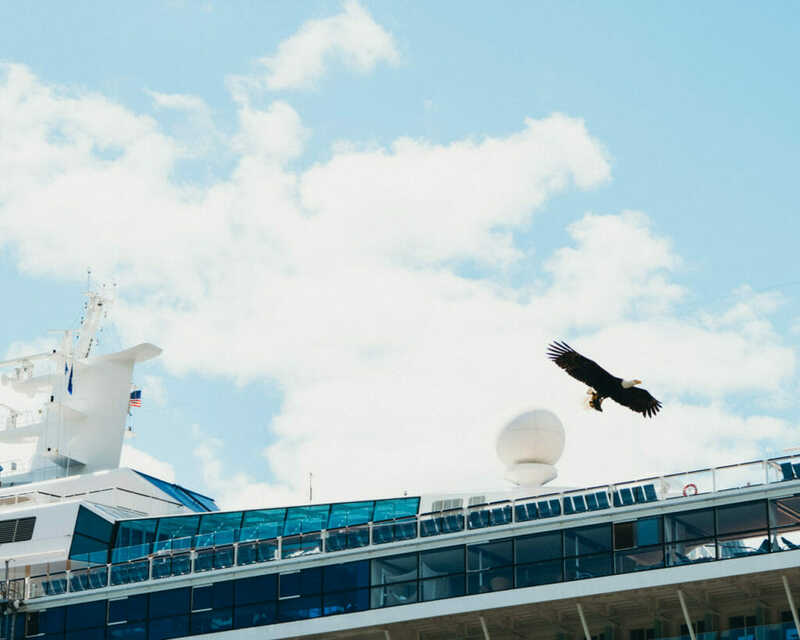 I knew we were in for a good day in Juneau as soon as we stepped off the Celebrity Solstice and watched a bald eagle soar in front of the ship. 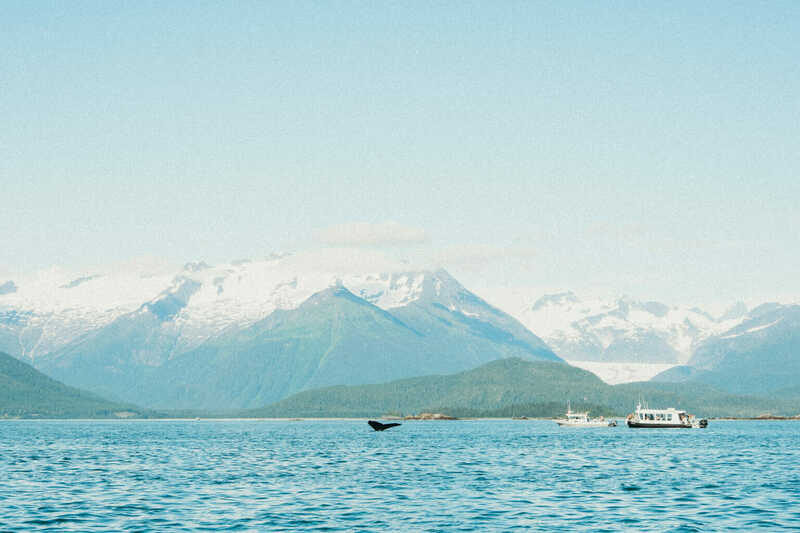 Although we had prepared for rain during our Alaskan cruise, there was not a cloud in sight. 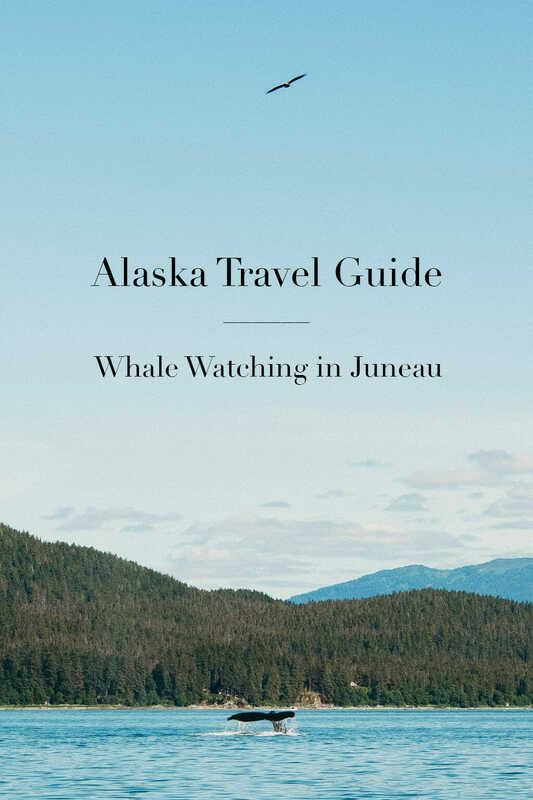 It was my mom’s birthday, and as a gift to herself (and us), she booked a private whale watching excursion with the Trip Advisor-acclaimed tour operator, Harv & Marv’s. Captain Liz escorted us onto a small charter boat for a three-hour tour (as the theme of Gilligan’s Island played in my head). She quickly assigned duties for us. My dad was in charge of distributing snacks, while I was responsible for closing and opening the door to the back of the boat. My spot in the hot seat meant easy access to run outside for any wildlife sightings. 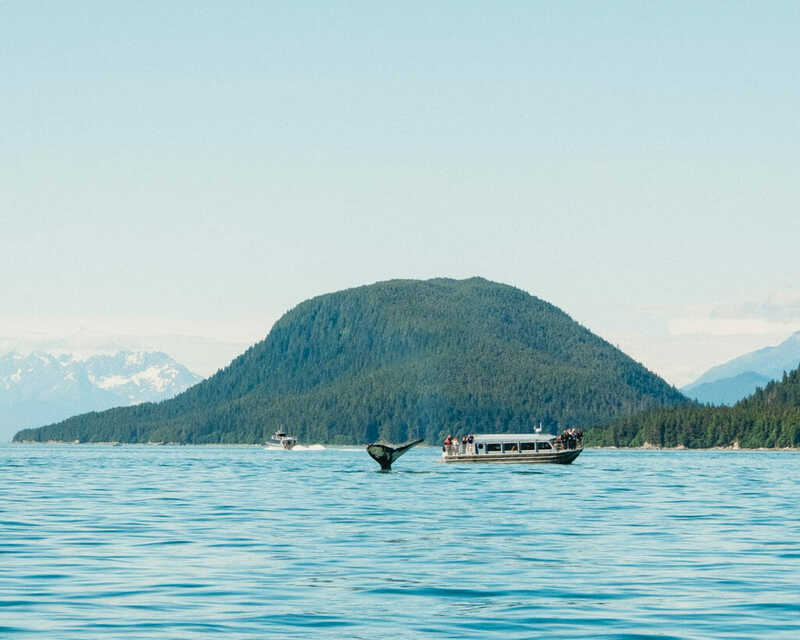 Harv & Marv’s boasts a 100% success rate in seeing at least one whale each tour. These ubiquitous odds did not make it any less spectacular each time we saw one. 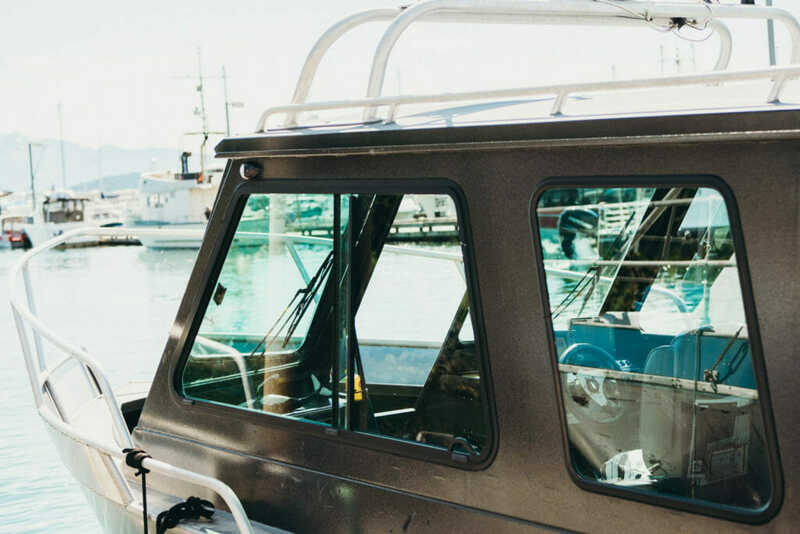 Captain Liz took time between sightings to teach us more about humpback whales and Juneau. 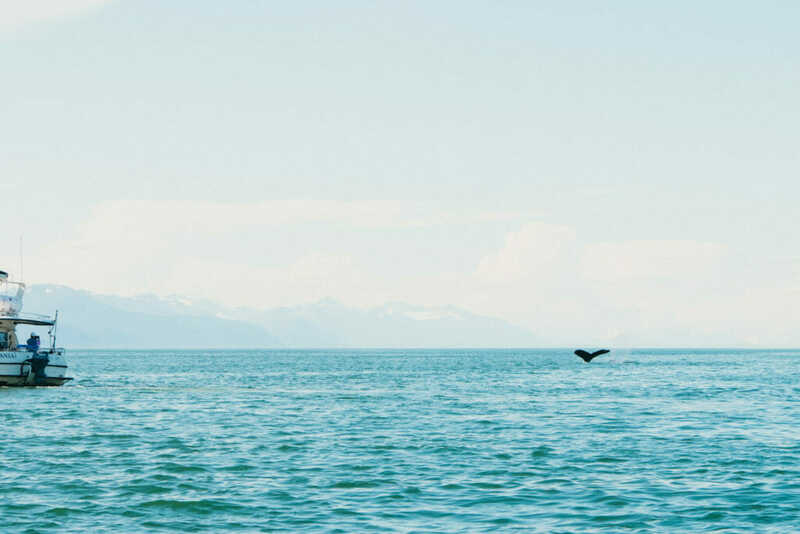 She cued us when we needed to get our cameras ready for the perfect whale tale shots. Based on her own equipment, I guessed that she was somewhat of a photography enthusiast herself. 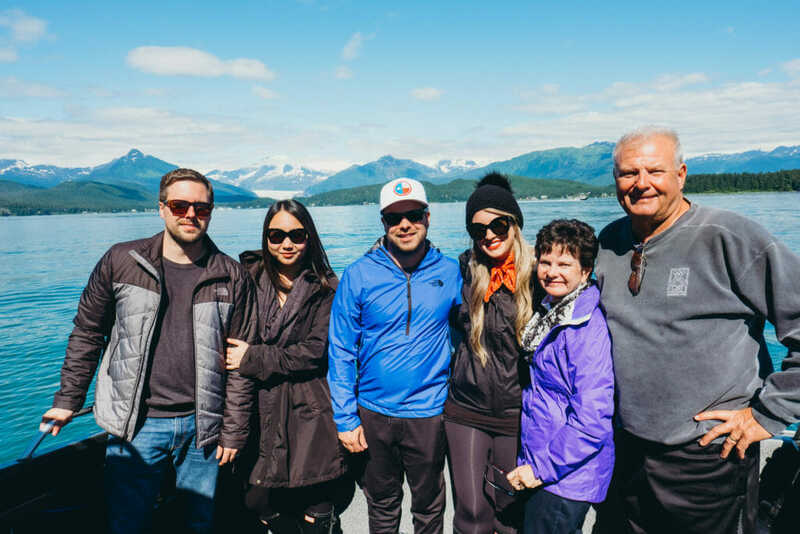 She was kind enough to take several family photos on the boat, including one with the Mendenhall Glacier behind us. 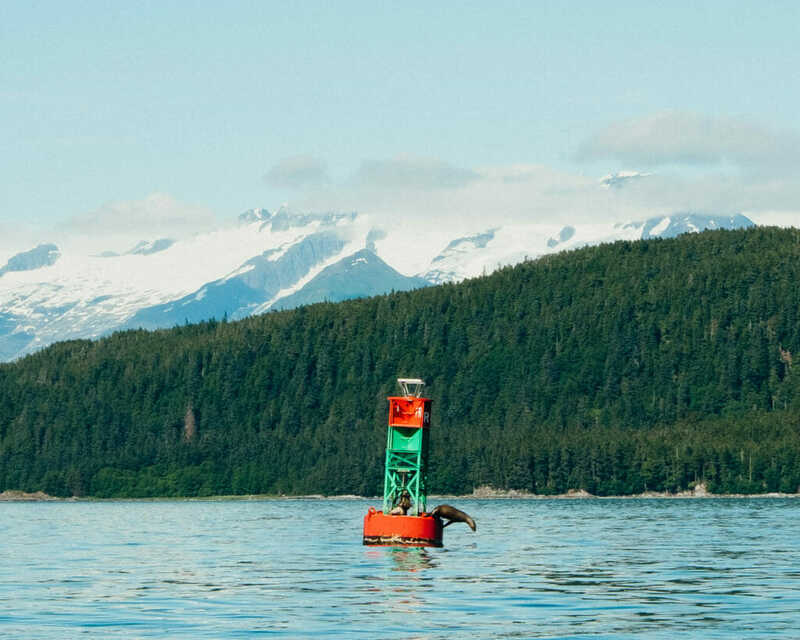 I was kicking myself for not splurging on a zoom lens for this trip, especially when we sailed past a group of sea lions playing on a buoy. There was no shortage of photo opps on this excursion, and it was incredibly hard to narrow the pictures down for this post. 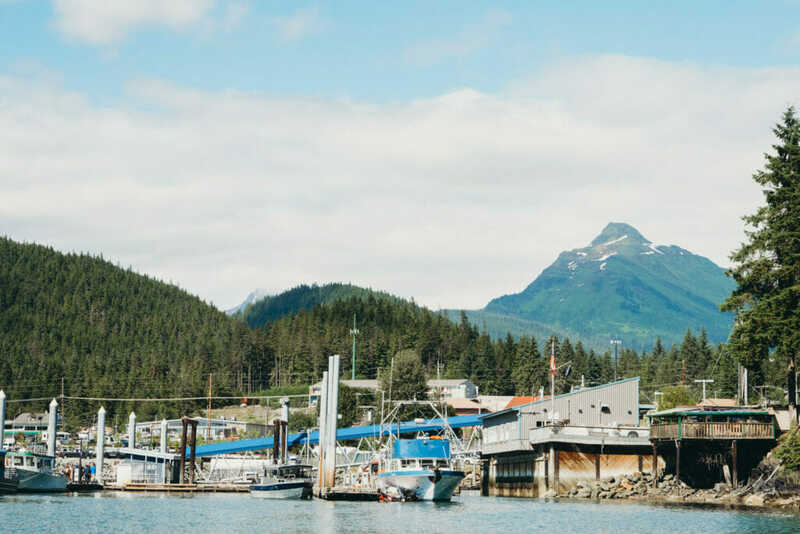 One set of photos, in particular, captured the magic of Juneau and the tour quite perfectly. 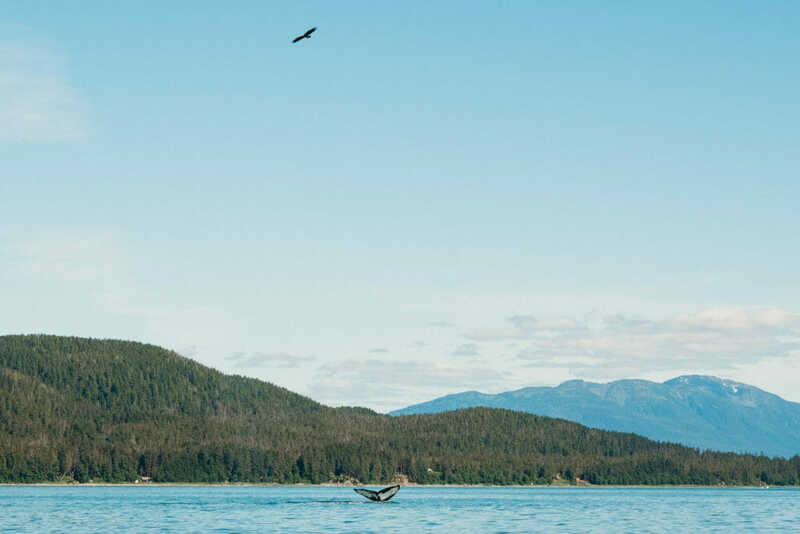 With a clear blue sky and mountains in the background, a whale’s tail popped out of the water at the same moment a bald eagle passing by on its way to the forest. I hope to document many more travel memories in the future, but I’m not sure if any will come close to that kind of majesty. Wow! The photos are so beautiful! Thank you for sharing the experience.